JAIME SAMMS has been published since the fall of 2008, although she’s been writing for herself far longer. Often asked what’s so fascinating about stories where men fall in love with other men, she’s never come up with a clear answer. Just that these are the stories that she loves to read, so makes sense they are also be the stories she loves to write. These days, you can find plenty of free reading on her website in addition to her stories scattered across several publishers. Spare time—when it can be found rolled into a ball at the back of the dryer or cavorting with the dust bunnies in the corners—is probably spent crocheting, drawing, or watching movies. She also loves to garden, weather permitting, since she is Canadian! She has a day job, which she loves, and two kids, but thankfully she also has a wonderful husband who keeps her fed and caffeinated. 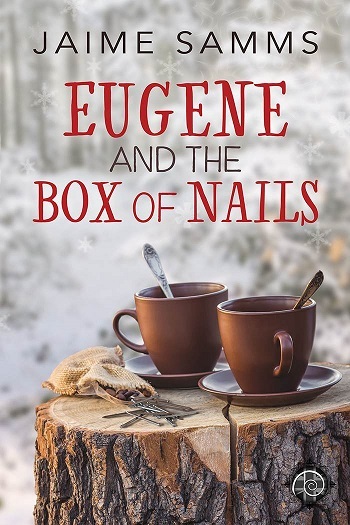 Reviewers on the Wicked Reads Review Team were provided a free copy of Stocking Stuffers: Eugene and the Box of Nails by Jaime Samms to read and review. This book will definitely go on my TBR list. I love Jaime Samms.